Wearables and wellbeing programs are here to stay. More and more companies are utilizing wearable fitness trackers as part of their health and wellbeing efforts. Right now, some employers have the ability to look at not just the physical activity patterns of individual employees who are wearing wearable devices, but they can also track the physical location of that employee anytime they are wearing the device. I don’t know of any cases where this is actually happening, but the data is being gathered, and employers are getting access to the data. It is possible for some employers to tell if an employee has gone to church, a casino, or a competitors corporate office. It won’t be long before someone is fired from their job and they make a valid claim that their employer used a wearable device gain access to private, personal information. Any responsible employer would never think of doing this, but as WellSteps works with hundreds of companies around the United States, we have seen some companies start to move in that direction. It may start off as an innocent attempt to give wellness incentives to those employees who go to a gym each day by tracking their GPS location, but it wouldn’t take much for an employer to easily track the whereabouts of every employee at every minute of the day. We have company leaders asking us to use wearable fitness devices and their GPS data to verify that employees are indeed going to a gym to work out. Using the GPS data and knowing the location of the gyms in the area, it is very easy to determine which employees have and have not been to a gym. The data would also allow us to determine how long they were at the gym. Luckily, very few employers are taking this approach, but the potential for abuse of personal information is enormous. In this blog I wanted to share with you the current role wearables are taking in worksite wellbeing programs today. I want to show you what the potential is for these devices to do good and to do harm. We’ll talk about the pros and cons of wearable devices and will see exactly how and why worksite wellbeing programs are using wearable devices. At the end I’ll give you some case studies of actual companies and how they are using wearable devices to verify physical activity and motivate employees. Over the last few decades, wearable devices have been used to track and monitor more and more information. There are now small electronic devices that, when placed on your body, can help measure temperature, blood pressure, blood oxygen, sound, GPS location, elevation, physical movement, changes in direction, and the electrical activity of the heart, muscles, brain, and skin. I’m only going to talk about the role of wearable fitness devices or trackers and how they’re being used in wellbeing programs. There are over 400 different fitness trackers and the cost for these devices can range from $50-$5000. The average cost of the typical fitness tracker is about $85. Their main feature are small electronic devices that can measure changes in acceleration in three directions and include a small gyroscope to measure changes in rotation. With these and other microelectronic devices, the typical activity device can measure physical movement, use bioelectrical impedance and optical sensors to detect heart rate, use accelerometers to measure sleep quality, and use satellite and Wi-Fi signals to identify locations. Devices can even use algorithms to estimate the number of calories or steps expended in any activity. Typically they are worn on the wrist and can measure physical activity with some degree of accuracy. Most trackers are accurate to within 15 to 30% of actual, which means if the tracker said you walked thousand steps your actual steps could have been between 700 and 1300 steps. They can estimate caloric expenditure to within +/-200 cal per day. Since they are worn on your wrist, their accuracy it limited. They play a balancing act between fashion and function. The device located on your wrist is easy to access and fashionable, but less accurate. Wrist worn devices are not much value if you ride bicycles like I do. Riding 25 miles up and down a canyon is fabulous exercise, but with a wearable device on my wrist very little the activity gets recorded. So the lack of precision and the need to wear it on your wrist means that the devices, at their best, give somewhat accurate information for physical movement and location. In terms of accurately measuring heart rate and sleep quality, there are very few studies to demonstrate that they are both valid and reliable measures. None of them are approved by the FDA. They can give you ballpark estimates of sleep quality and heart rate. The microelectronic components in these wearable devices are also found in today’s mobile phones, which begs the question of why you need a wearable fitness device if you already have a mobile phone. And which is more accurate, a wearable fitness device or your mobile phone? The answer has more to do with cosmetics, fashion, and function than it is with accuracy. Most fitness devices and mobile phones contain exactly the same microelectronic components. Granted, there are lots of differences between devices, but in general your smart phone can measure your physical activity almost as well as your electronic device; it’s just not as convenient and doesn’t look nearly as cool. All you have to do to get accurate fitness data with your smart phone is to download one of the many free apps that takes advantage of the electronic components in your phone to track and monitor your activity. The problem is you have to have your phone with you while you’re exercising. Today’s wearable devices are the slightly more accurate and considerably more fashionable cousins of the earlier pedometers and accelerometers that we used to wear on our hips. Today’s activity trackers are pretty good at measuring physical movement through space, they are fun to wear, and they provide opportunities to track our movement through space. This means they are good if we want to set a goal and track our progress, and they help us validate how much activity were actually getting. In some ways, they may even encourage physical activity as we strive to reach our goals. Perhaps one of the biggest benefits of these wearable devices is the coolness factor. They have been designed as not just activity trackers but as fashion accessories. The styles, colors, brands, and designs make today’s devices a lot sexier than previous ones. Wearing a wearable device today can almost be perceived as a status symbol. That said, there’s a downside to these devices. The cost of the devices can be substantial, you have to wear the device for it to work, and you have to keep the battery charged. These are the same problems we had with pedometers 20 years ago. And, like pedometers, we have very little evidence that wearable devices today have any effect on physical activity behavior. These are tracking devices. They help us estimate our movement through space. There’s no evidence that they change behaviors. Given the limitations of measuring physical activity, they do a pretty decent job of actually tracking movement, but now there’s the question of data security data access. 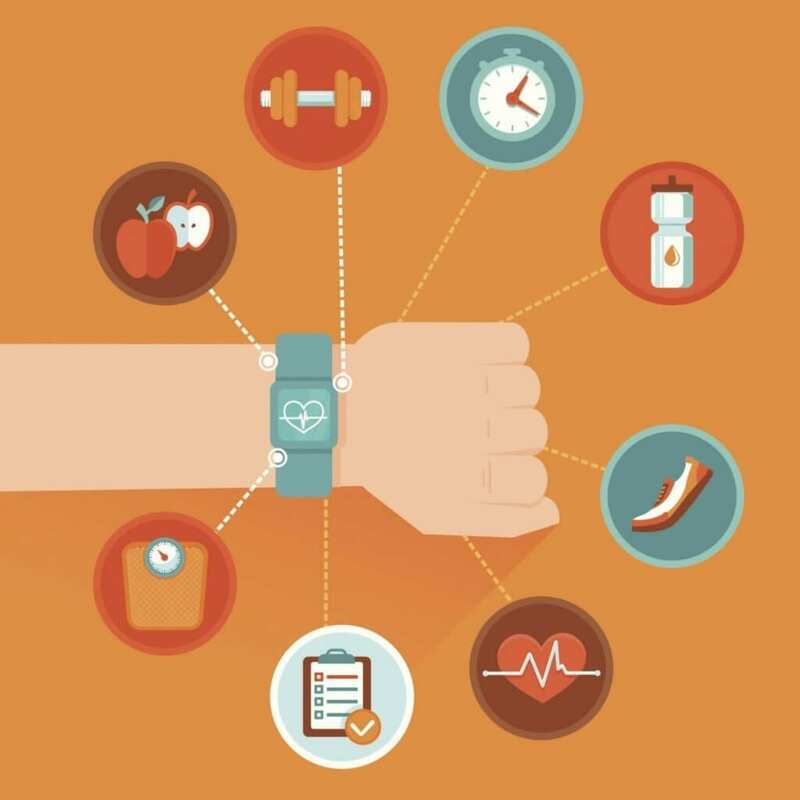 Today’s wearable devices are all web connected, which means that the data can be accessed by us and others whom one may not wish to share data with. Wearable devices today are being used by the early adopters of technology: mostly the young, fit, and wealthy within our societies. The single biggest problem consumers report is that after a few months the data provided by the tracker becomes mundane. Habits form after you’ve tracked physical activity for months, and the data gleaned from the tracker is just another carbon copy of the previous day’s data. 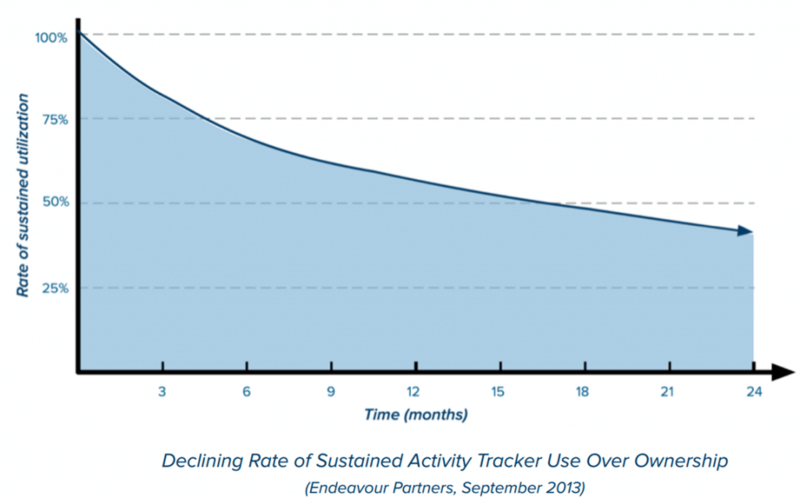 Boredom sets in for most people who are using trackers, which is why most people abandon them after a few months. Here is the most current evidence we have on how quickly people stop using their wearable devices. We have other devices in our lives that are like wearable fitness trackers. When was the last time you actually took a close look at the tachometer on your dashboard? The tachometer gives precise measures of how many rotations per minute your engine is making. Almost every dashboard has a tachometer, and as you rev the engine you can see the revolutions per minute going up. Tracking rpm’s is not something any of us care about, yet almost every car has a tachometer using valuable dashboard space to give you lots of information you care nothing about. Having a tachometer is like having a wearable device. In some ways, it is amazing technology that’s looking for a problem to solve, but the information provided can become stale. Previous users of wearable devices have complained that they are easy to lose, they break, they’re really not waterproof (despite manufacturer’s claims), they are sometimes are difficult to sync with your smart phone, the batteries don’t last long enough, some of them are not very attractive, they may be uncomfortable to wear, and, at the end of the day, they don’t provide much material benefit. Many of you reading this blog have a wearable device. Most people who have a wearable device are already quite fit, younger than average, and have a higher socioeconomic status than average. Most people stop using them after 12 months. Are you one of them? Today’s wearable devices are sexier than ever. They use much of the same technology that we’ve had for decades, but they apply the data in more innovative ways. The ease of fitness trackers enables us to do one thing well: track physical activity. That is why they are called fitness trackers. They enable us to use reasonably valid measures to quantify how much movement we do in space each day. They don’t necessarily help us adopt and maintain healthy behaviors, but they can help us monitor our progress, track our progress towards goals, and remind us to be more active when were falling short. The strength of fitness related wearable devices is in their ability to track and monitor activity. A few worksites have been caught up in the wearable device craze and have handed out a wearable device to every one of their employees. The “one and done” approach to using wearables is when an employer purchases or offers wearable devices to all their employees. The hope is that the employees will be more educated about their current levels of physical activity and use the data from the devices to become more active. Sometimes they hand out the wearable devices for free (which is a mistake), and sometimes they do some cost sharing with employees, providing a large discount or offsetting the cost. The devices are acquired, handed out, and the employer hopes for the best. The only bit of information that the employer has with this approach is that they did something nice for their employees—hopefully something they all enjoy—and they hope that the device will somehow help their workforce become more physically active. This approach was recently used by Target Corporation. Health and wellbeing programs can use wearable devices by using the wearable devices as incentives. When employees participate in a comprehensive wellness program, they often earn points or get rewards for their healthy behaviors. One of the incentives or rewards that could be handed out in this situation could be a wearable device. The practice of handing out health-related rewards for wellness-related activities is a pretty common approach to helping create a healthy culture at work. WellSteps has a variety of employer groups who like to hand out wearable devices as small incentives, or rewards for doing healthy behaviors. This brings us to the third and final use of wearable devices and worksite settings, activity tracking. Today’s wearable devices are data collection tools. They gather binary data on changes in movement, direction, location, and even skin temperature. The challenge for worksite wellbeing programs is how to acquire and use this data. For individuals, it’s quite easy: the wearable device beams data to a mobile app or a computer website where the employee can see what their activity rates have been, monitor their heart rate, and look at calories expended in activity. Individual data is observed and used by individuals. The other approach requires that someone else gather the wearable device data. And there’s two ways that this can happen. Most manufacturers of wearable devices will create a small software package called an API. This API software allows the data from the device to be collected and managed by other software systems. Most often this requires some considerable computer programming. But an employer, if he or she wanted to, could create a computer platform that would read individual employee’s wearable device data and upload that data to a computer were the entire amount of information could be evaluated in individual or aggregate form. Here is where the potential for abuse from wearable devices rears its ugly head. It comes down to who has the wearable device data and how it is used. A few employers actually have wellbeing data platforms that have the ability to gather data from wearable devices. These platforms, which were created by employers, mean that the employer has access to both individual and aggregate data from any employees wearable device. The jury is still out on whether or not fitness related data is considered private health information. 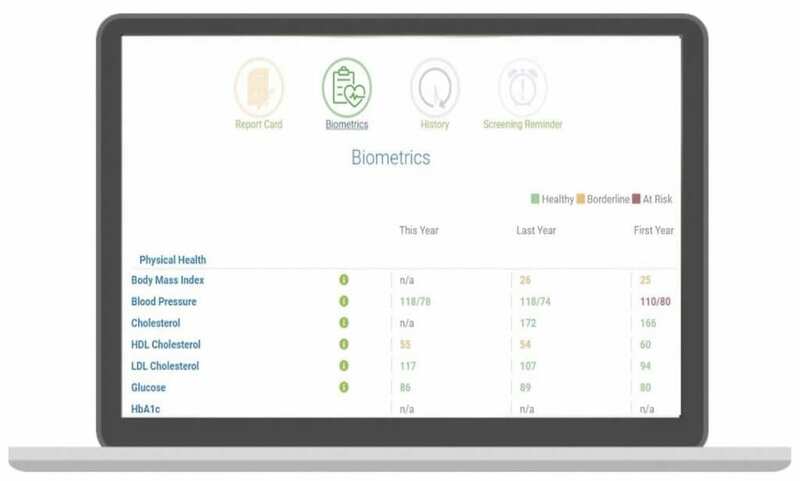 It is unknown if using individual fitness data is a violation of HIPAA. Any employer that is gathering wearable fitness device data from its employees is just asking for trouble. Any employee who has been terminated could possibly point to the fact that their employer has been tracking their movement and location through wearable device data. Employers who have access to personal fitness device data are just making themselves a target for future litigation. Even if you claim that you are only using data in aggregate form you still have access to individual, personalized data. And that’s the problem. The other way the data can be used is for a third party company or wellbeing vendor to write the computer software needed to gather and manage employee wearable fitness data. A vendor’s wellbeing platform is nothing more than a bunch of software that can be used to gather wearable device data and make aggregate reports. Having wearable device data be collected by a third party removes the employer from any potential liability. This is where an outside vendor can actually protect the employer because they prevent the employer from having access to individual data. It was never my intention to discourage the use of wearable devices. On the contrary, they can be an effective tool in any comprehensive wellbeing program. My goal was to give you an honest, research-backed appraisal of what wearable devices can and cannot do and how they can be feasibly used in wellbeing programs. Many WellSteps clients are currently using wearable devices as part of their wellbeing efforts. We encourage this approach, so long as it is done correctly. 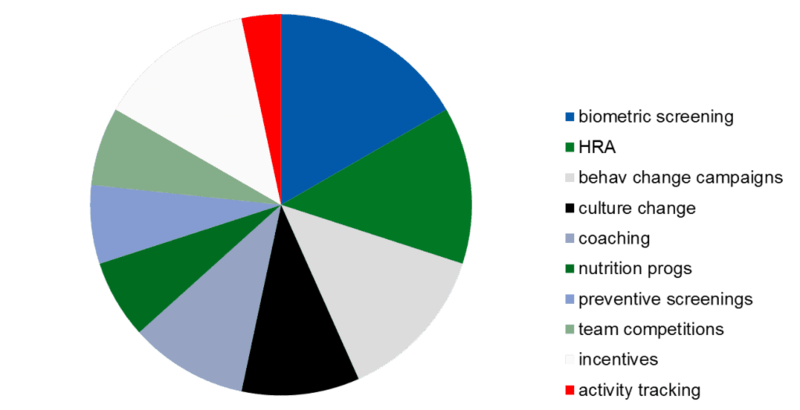 Here’s a summary of how many of our clients are using wearable devices. To help motivate employees to adopt and maintain healthy behaviors, most employers offer some form of incentive program to reward participation and healthy behaviors. Many programs like to give incentive points based on physical activity. The challenge is how to assess whether or not the employees of actually been active. This is where wearable devices are particularly effective because they are activity trackers. Any WellSteps participant can either go to the WellSteps program center or use the WellSteps app and connect any wearable device to their own personal data files. This allows employees to sync their device with their personal data. Each day, data from the device is automatically uploaded to their data file. There they can track points, track steps, determine how many calories have been spent, and a whole host of other activities that can be accomplished with the data. Employees can sync directly with the device itself or they can link to one of the apps such as Map My Fitness and have the data downloaded from there. Either way, the WellSteps platform allows employees an extremely easy way to automatically upload their activity data from their device to their program center. They get points for being active and their employer has solid data to verify that their employees are indeed being active. Employees get their points and employers have confidence in the data. Employees can also track their progress, set goals, add nutrition data, and compete with other employees in team-based competitions. Their data is encrypted and stored in a safe place that cannot be accessed by their employer. The WellSteps data platform makes it extremely easy to gather and manage wearable device data for any employee and any wearable device. Here’s how Cleveland State University uses wearable devices. They have established a wellbeing incentive program that provides points for physical activity. Some points are awarded to those employees who average 2500 steps a day or who exercise for 20 minutes a day. Even more points (and greater rewards) are given to those employees who average 5000 steps a day or who are active for 40 minutes a day. Almost half of the employees at Cleveland State University have their own wearable device. Of those, 58% are a Fit Bit device, and 4% are from the Jawbone device or are using data from Map My Fitness. 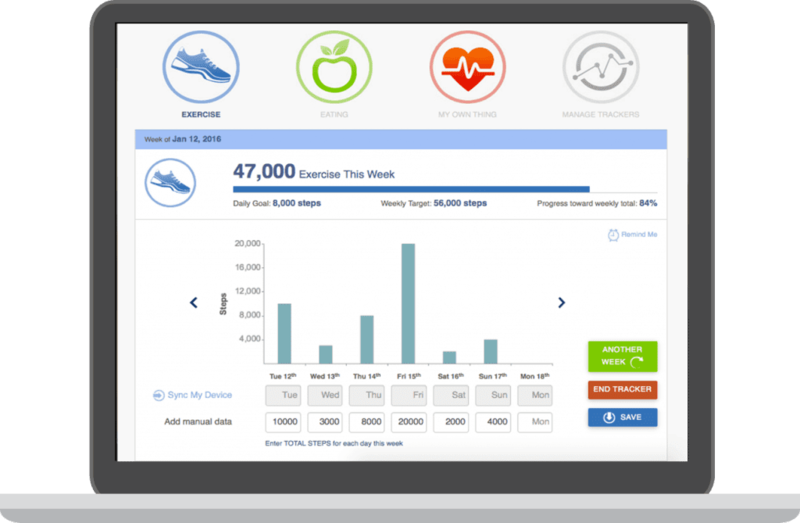 The rest of the employees use the same WellSteps tracker to manually input the physical activity data. The WellSteps platform allows employees to use a wearable device if they have one or to manually enter their physical activity data if they don’t. Either way, they get credit for being physically active but the self-reported data is just that—self-reported. The Superior Court of California is a WellSteps client that uses wearable data to monitor physical activity among teams. In the Get Your Move On campaign, teams compete with each other based on the amount of physical activity they complete. The activity is tracked and reported by their own wearable devices synced to the WellSteps platform. In this company as well, employees can use wearable devices and have their data synced or they can manually enter the data for the physical activity if they don’t have a wearable device. Both of these case studies use the “bring your own device” approach to monitoring physical activity. Employees love the team competition, and the wearable devices allow them to sync their data and see live comparisons between teams. In both of these cases the wearable device is used to monitor and report physical activity either for the awarding of incentives or for the tracking of activity between teams. If you consider everything that needs to be done to have an effective and comprehensive worksite wellbeing program, it is easy to see how wearable devices can have a small place at the wellness table. When you think about the most important components of a wellbeing program, it’s hard to ignore the impact of biometric screening and effective follow-up, health risk appraisal feedbacks, behavior change campaigns and challenges, healthy culture change, health coaching, nutrition programs, preventative screenings, and the strength that incentives can have in helping employees adopt and maintain healthy behaviors. Given all the different components of a wellbeing program, what should be the role of wearable devices? At this point, wearable devices are really good at tracking and monitoring physical activity. Since that is what they do so well, wellbeing programs should use wearable devices to do just that. Unfortunately, we have some clients who want their wellbeing program to be nothing but a wearable device program. This is great until six months in when the devices become stale and employees are looking around and asking what do we do now? Wellbeing programs are much more in-depth and much more transformative than we’ll ever be able to get from a wearable fitness device. Over the years we’ve seen wellbeing programs start to depend more and more on wearable devices. Here are the most important things we’ve learned in the last decade. Employees need skin in the game. Don’t give devices out for free. They will have more value and be used longer if employees have to pay part of the cost. Understand from the beginning that wearable devices are not behavior change tools. Wearable devices are activity trackers. Wearable devices are fun, but the initial excitement will wear off and it will become stale. Encourage BYOD (bring your own device): it’s cheaper. Use wearable devices as incentives or rewards for regular physical activity and other healthy behaviors. 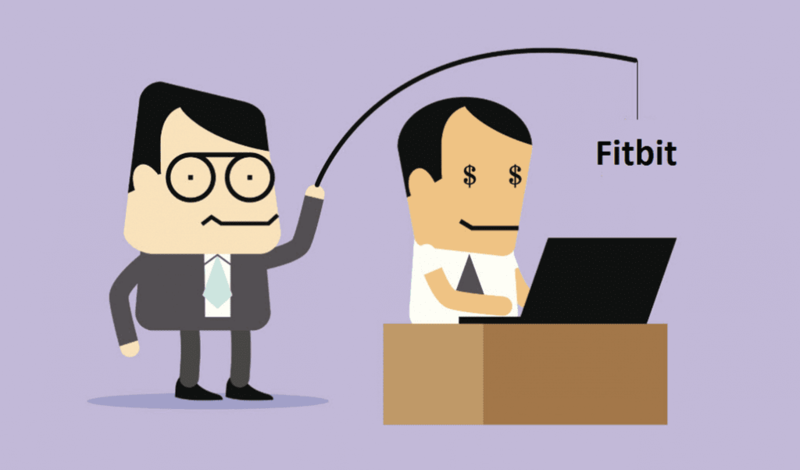 Only use vendor data platforms, employers should never gather and use wearable fitness data. Employers should never use or access individual data. Wearable devices can be a fun, small part of a larger wellness effort.